The weird thing is that it is not Sickness !!!! "Is that Magath sitting on the opposite side?" Yea, they are Nigerian-British...the only explanation they could come up with is that one of the couple has some white ancestry history but doctors are still flabbergasted by the occurrence. 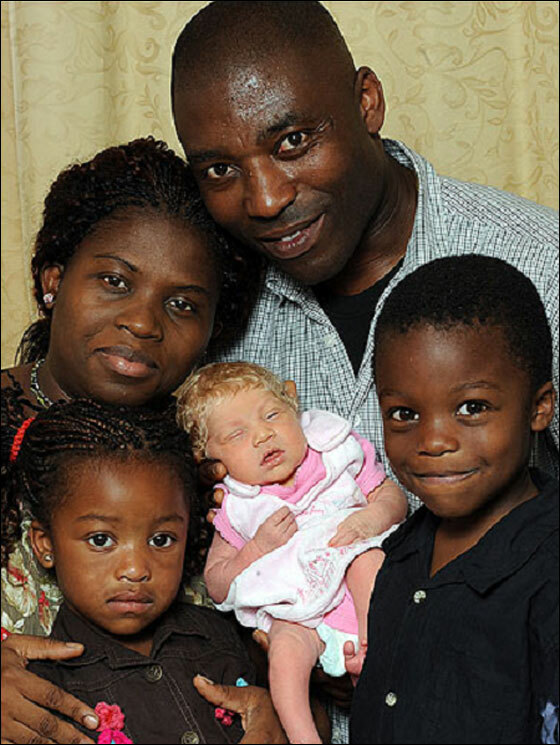 I've read articles with mixed couples giving birth to twins; one white and the other black, or two black couples given birth to a blue/green eye baby, but this case, is truly a new phenomenon. Has the kid passed a paternity test? I just wonder is that the reality in US or is someone just making a fun on the internet? I know Slovenia is a small country but you cant pass the class if you dont know at least 50% of the worlds countries and their capital cities:) and that is just 1% what you should learn in Geography class.